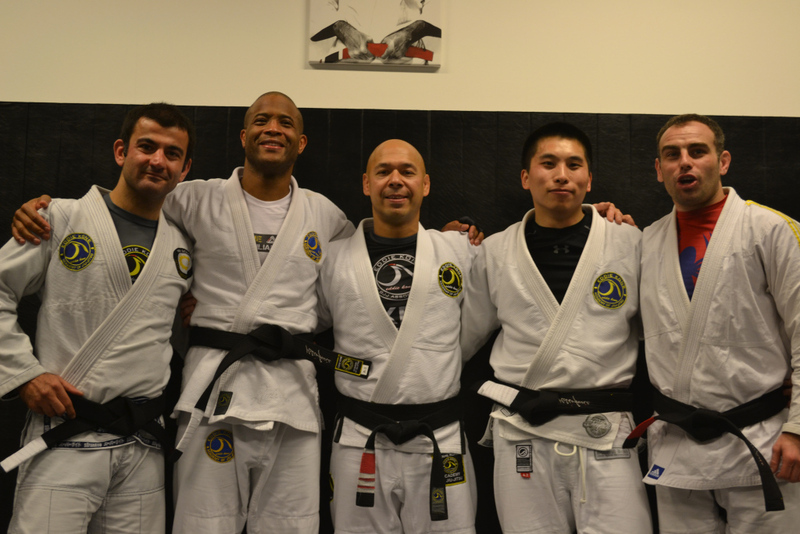 The Gracie Academy in Torrance, California has produced a number high quality BJJ related products. I am a happy student of the Gracie University programme and have learned tons of great jiu jitsu details from it and from their excellent Gracie Breakdowns. I do not have nor teach children, however, so when Rener offered me the opportunity to review the BullyProof box set I agreed, but didn’t quite know what I’d make of it or how it would fit in with the whole Part TimeGrappler site. Click here to order this awesome set! In this ground breaking DVD series, Ryron and Rener walk you, step-by-step, through the exact process their father used on them between the ages of 4 and 14, so you can prepare our child for life the Gracie Way. Not only is this the first jiu-jitsu instructional series for kids, but it is unique in that it teaches YOU, the parent, everything you need to know to teach your child from the comfort of your own home. Disc 1: Parent Preparation - Everything you need to know to teach your child from home. Discs 2-3: Gracie Games - The first 10 techniques disguised as fun jiu-jitsu games. Disc 4: Rules of Engagement - Teaches "Verbal Jiu-Jitsu" and the 5 Rules of Engagement. Disc 5-9: Jr. Combatives - The 33 core self-defense techniques every child should know. Disc 10: Belt Testing Process - Explains how your child can earn an official belts from home. Disc 11: Gracie KidSAFE - Child abduction prevention and drug defense the Gracie way! 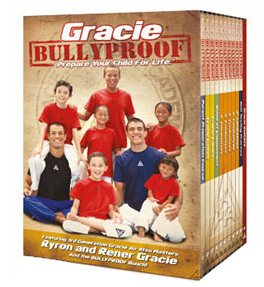 If you have kids, but you don't already own the Gracie Bullyproof DVD collection, now is the time. Click here (https://secure.gracieacademy.com/categories/dvds/GSD-GBPDVD.html) to visit the store and read more about this life-changing program, and if your family already owns the program, please pass on this email to someone who doesn't. Rener wears a blue shirt, white pants. Ryron in a black shirt, blue pants. The contrasting colours helps with absorbing who’s doing what. Intro of the what and why of child bullying, parent-child interaction and potential benefits. Here, the parents are introduced to the Curriculum: Gracie games, fun and closeness, age appropriation and the bully-battles. Rules of Engagement: Highlighting the importance of emotional support and involvement of the parent. Bully-battles: when is your child ready for them. The golden rule of teaching children: why it is imperative for parents to dis-identify with the natural instinct of parenthood. Transfer Teaching: pull vs push learning/teaching methodologies. The most common mistake: how to correct mistakes correctly, the perfect adjustment and do you need to fix all mistakes? The Critical Challenge: how to challenge children? What are the three levels and how to adjust them? What is the strategic sacrifice? Safety Considerations: what lesson can we learn from "crab hunting"? Preserving the Privilege: once the child is in love with Jiu Jitsu, with this lesson you will learn to turn it into a reward. Getting Started: the schedule, how to tri-cycle, how often and session length guidelines. Make sure you always leave them wanting more. Belt Testing Process: how do kids feel about outwardly indicators of progress? How does the testing process go? The importance of the Jiu Jitsu journal. The non-connection between the belts and the courses. How Rener and Ryron manage to keep the journey individual. What are the main developmental benefits of the belt system for kids? The Critical Connection: the teenage rebellion, 60000 No's and 8000 yes's. Creating an amazingly positive parent-child connection. The Gracie Diet: instil a sense of right and wrong in consumption that colours the rest of their lives. The responsibility of leading by example. Remember: This is the only segment of the curriculum that is not intended to be viewed by your child. When can a child engage in self-defence? How do they do that? How far is too far? Without the Rules of Engagement, children will not feel they have the emotional “go-ahead” to defend themselves from bullies. 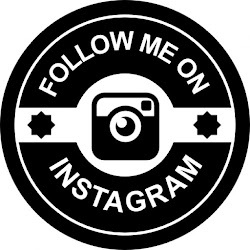 Verbal Jiu Jitsu: The responsibility that comes with knowing the techniques of Jiu Jitsu and it is essential these are covered before moving from the Gracie Games to the Junior Combatives. And much more. This was one of my favourite parts of the GracieKids course. 10 Gracie Games: intro: Rener and Ryron talk about their childhood introduction to jiu Jitsu but it's hard to focus as the screen shows Rorion playing with his children. We are also introduced to the three levels and the stars, the world’s most charming stars: the Gracie Kids Assistants. We are told that out of all the games the older generation of Gracies used to playtroduce (check me out, making up words!) their children to jiu jitsu, these 10 were the most loved and effective. I cover the first game here for you to give you a feel for how they are structured. Level 1: Spider hands. The game is introduced with a Marvel-style comic themed adventure. Rener starts in mount and demonstrates the value of using the hands to maintain position. With laughs, constant encouragement and games, Rener and Ryron share details one by one: the hands, feet, body alignment...etc. At the end of level one, the dvd gives you the option to: 1. Replay 2. Launch silent demo mode or 3. Move on to the next level. Level 2: Spider swim (swimming the arm to avoid getting wrapped up from the bottom). Once again the story continues with more scenario options and the crew of kids demonstrate. Having seen this technique I could see some of the kids were making small mistakes and was very curious about how/when the corrections were made. I was not disappointed! The Gracie brothers were, as expected, full of praise for the kids and practically snuck in all the corrections in a stream of "perfect!" and "yes, excellent!" Level 3: Crazy Combo where they'd use both above levels to hold mount for 10seconds. Rules of Engagement: before learning the Junior Combatives techniques it is important that the children taught understand that with the techniques there comes huge responsibility and that's what is covered here. Rener help lay down ground rules for when the child is allowed to use their techniques and in what way. The approach is called the 3T (see above) and it’s nothing short of genius. The BullyProof approach is excellent in how it covers the areas of pre- and post confrontation to such detail. No karate session I’ve ever witnessed covered these important details. Intro: we are advised on the differences between them and the adult course the Gracie Combatives. What's unique about these courses is not just the excellent content and the high degree of detailed and clear instruction but the guidance in how to construct lessons and build them up into weekly and even monthly cycles. They've thought of everything you'd need to learn these techniques, but also what you will need to teach and share them efficiently and effectively. Let me tell you about two lessons: Escaping the mount -the trap and roll and The Americana armlock from Mount. The crew of kids are back on the screen and the help Rener and Ryron explain what is commonly known as the upa escape against the headlock from mount, punches from mount and chokes/throat grabs from mount. But with names like Shark Bite and Snake bite who can resist? Following every explanatory segment we see the techniques demonstrated by the kids team against the 2 brothers. True to form every correction is affirmed with an overflow of positivity and the children cannot help but feel good about this great "game" and the process of auto-tune kicks in. Already from the first lesson Rener and Ryron use the Gracie Games to blend in the Junior Combatives into the aforementioned BullyBattle. I couldn’t resist the urge to count. In the span of the 3 minute BullyBattle Rener gives no less than 19 compliments which was almost twice as many as the number of techniques used in the round. 2. It allows them to negotiate with the bully. The brothers and gang show the technique and cover a very high level of technical detail. Once happy, the technique is once again added to both lesson 1 (see above – Trap and roll) and the Gracie Games. Intro: Rener and Ryron put on their gis for the first time in the series and tell us about the child belts and how they differ from the adult programme in both meaning and progression. We are also instructed on how and when to conduct the video testing process and send it to them. No stone is left unturned. Rener tells us about the emotional story of his cousin’s run with a kidnapping at school and introduces the concept of safety at, before and after school. The Gracie brothers give both explanations of tricks used and avoidance tips. We learn about “fluffy” and we learn about “avocados”! This course covers tricks that may get used to get the children into cars, avoidance principles and best escape routes. Emergency escapes: Why is this left so late? Hopefully, adhering to the above means you don’t need to deal with the escapes but if you do, these tips could save your child’s life. Drug defence: Why the Gracies abstain from drugs and why they see them as another “kidnapper”. This is demonstrated thru a number of scenarios to drive the point home.